Skeletal muscle (covering the skeleton and giving the body shape - these are the type of muscles most often thought of when the term "muscle" is used). 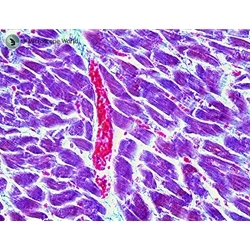 Smooth muscle (in walls of hollow organs such as the stomach). Cardiac muscle (only in the heart). Cardiac muscle is different from other human muscles in that it does not get tired. This muscle works automatically and constantly without ever pausing to rest. The cardiac muscle relaxes to fill the heart with blood and then contracts to squeeze blood out of the heart. 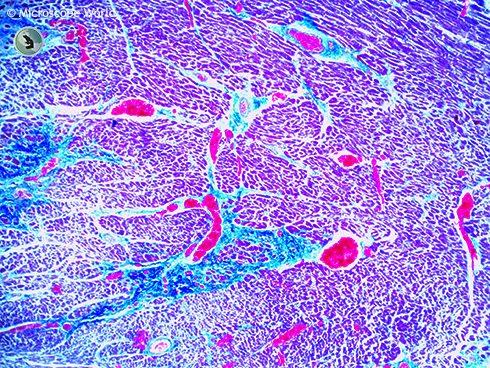 Until recently it was believed that cardiac muscle cells could not be regenerated. However, a study reported in the April 3, 2009 issue of Science contradicts this belief. In the study, Olaf Bergmann and his colleagues at the Karolinska Institute in Stockholm tested samples of heart muscle from people born before 1955 who had very little cardiac muscle around their heart. 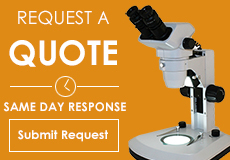 Researchers used DNA samples from many hearts and estimated that a four-year-old renews about 20 percent of heart muscle cells per year, and about 69 percent of the heart muscle cells of a 50-year-old were generated after birth. 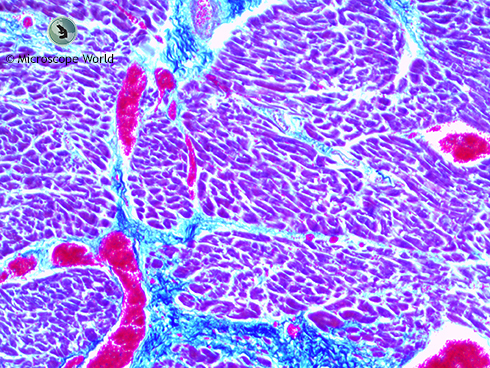 This is an image of a skeletal muscle captured under a brightfield biological microscope with a PAX-cam microscope camera. The human heart is roughly the size of your fist and weighs between 10-12 ounces (about 0.75 lbs.) in men, a little less in women. The National Institutes of Health has great info on the chambers of the heart, the left versus right side of the heart and heart anatomy here. 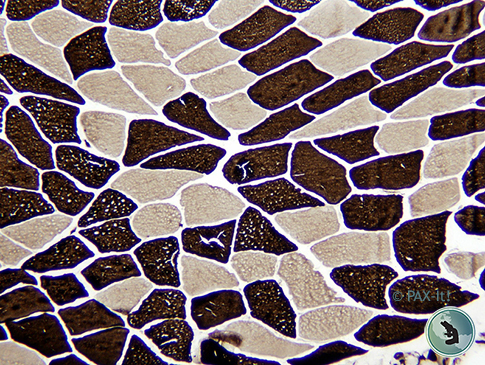 Human cardiac muscle captured under the RB30 microscope at 40x magnification with a 5mp microscope camera. Did you know that the human heart beats about 100,000 times each day? And the adult heart beats fewer times per minute than a child's heart. Human cardiac muscle captured under the RB30 microscope at 100x magnification with a 5mp microscope camera. 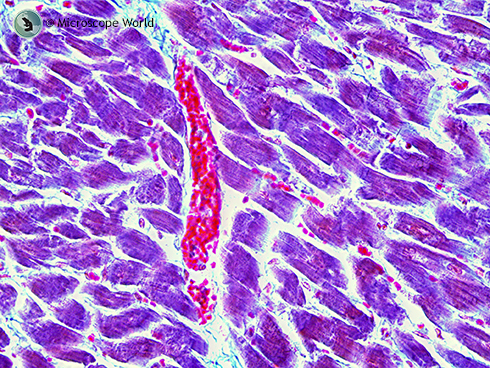 Human cardiac muscle captured under the RB30 microscope at 400x magnification with a 5mp microscope camera. 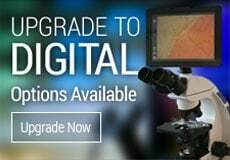 If you have questions regarding microscopes or microscope cameras, Contact Microscope World.